Join us on Wednesday nights as we study from God's Word. 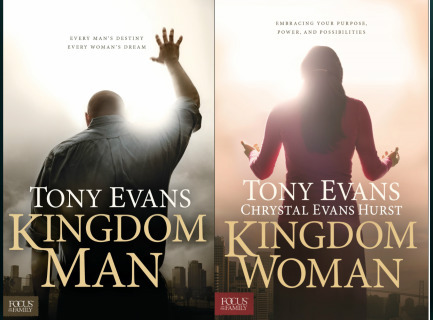 We will be using two studies by Tony Evans, Kingdom Man and Kingdom Woman, discovering our role and position in God's Kingdom, in our homes and in our churches. Six session studies. These series begin May 23, 2018.